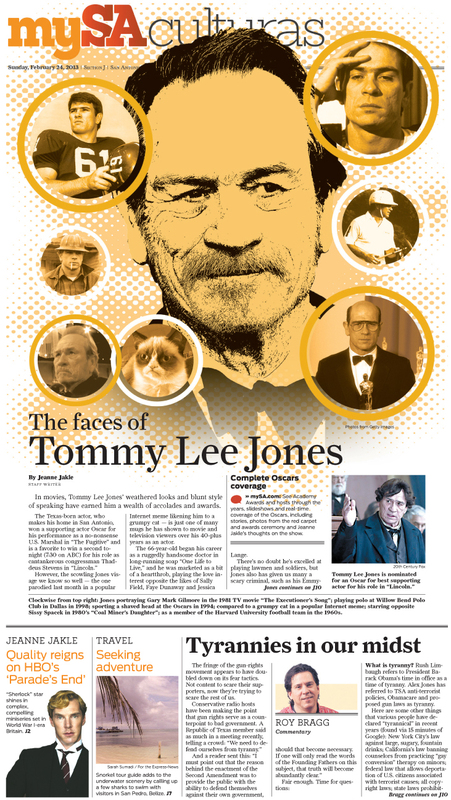 Here is the Tommy Lee Jones page I did for this Sunday. Jeanne Jakle wrote this Oscar story for his role in Lincoln that he’s nominated for. And oh yeah, he’s from San Antonio. I like that we included Grumpy Cat.